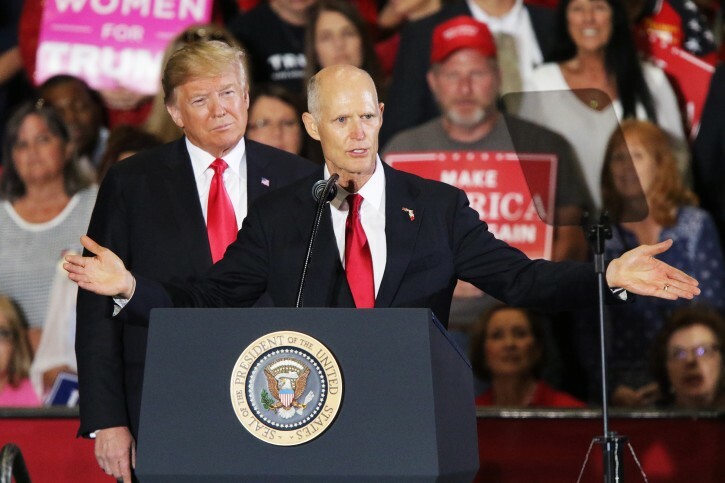 Florida - President Donald Trump may have threatened to transport illegal immigrants to so-called sanctuary cities to “make everybody crazy” and generate media attention, Republican U.S. Senator Rick Scott said on Sunday. It's not a threat; we would be glad to have them. The more the merrier! Trump has dishonored the Presidency with this latest sick threat, to use people as a 'weapon' against towns and cities he thinks are against him. How many political operatives from former NJ Gov are in jail for using people as a revenge weapon against an opponent? THIS IS FAR WORSE. Trump denigrates the Presidency. please address the issue at hand with substance. So why not send migrants to cities who claim they can absorb them? Why keep them in horrible overwhelmed conditions at the border? Don't you have compassion for the migrants suffering in detention and overcrowded facilities? “ please address the issue at hand with substance. They should be given citizenship and student loans for English classes. You don't have a back yard. All his buildings are in Sanctuary Cities. They need workers badly. Trump Tower was built by immigrants (mostly illegal) not by DEPLORABLES. Border patrol in El Paso is doing that already. They are so overwhelmed that they are often letting them leave before Ice arrives and or sending them to charity run centers where one can leave as well. And besides what's wrong if they leave? Isn't that what sacnturay cities are for? Are you offering to pay for these illegals? All Liberals are big talkers until it comes to their own pockets. Get you hands out of my pocket. Ok so it sounds like you think its a good idea? Great at least we both finally agree. You think its good for sanctuary cities. So go take them. ICE would love some relief. You are so incredibly dumb, I feel bad for you. I am offering to lend them money at interest, which is good for everyone. Kind of exploitative of the immigrants, but good for you, I'm sure.